Two bedroom traditional holiday lodge overlooking the lake and woodland area. 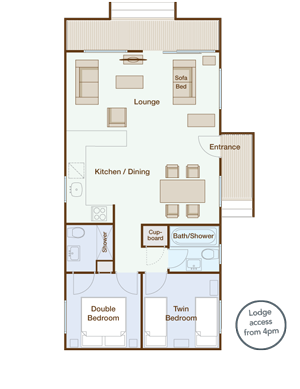 One double bedroom with en-suite shower room, one twin bedroom, and additional sleeping for up to 2 people on a sofa bed in the lounge area. Additional main bathroom with bath. 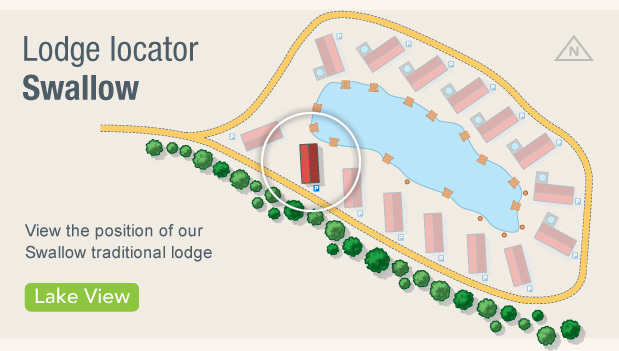 Download our Swallow Lodge Layout & Location PDF.